Semi Fine Dining at Subak, Bukit Lanjan. I posted this photo like weeks ago on my Instagram. If you've followed me, you would have seen this. Bukit Lanjan sounds like a far far place from my area but no, it is located just right beside Taman Tun Dr Ismail! I didn't expect this kind of fancy restaurant to be located at here. It has nice environment, quiet, peaceful place. Very suitable for Girls' night out or on a date. It serves a variety of food, like Western and Eastern cuisine. I was totally attracted to this scenery. A must for everybody to come here to snap a photo after your meal or before your meal! I dressed up a little just for this occasion. I love this beverage a lot as it is very refreshing and not too sweet! Ala Subak Nusantara Chicken Soto. The portion is quite huge and the taste is quite yummy. I didn't expect the portion to be that huge as it can possibly replaces our main course. It was highly recommended by the restaurant to try this. It was a good choice and I love it. Spaghetti Pesto with King Prawns. Oh yum! Fresh prawns with flavourful pesto sauce spaghetti. Taste wise is good and the smell that I hate the most is at optimal level. If you have any celebration or proposal, you may take this place into consideration. I think you can have some special arrangement with the restaurant. It's even more beautiful at night! 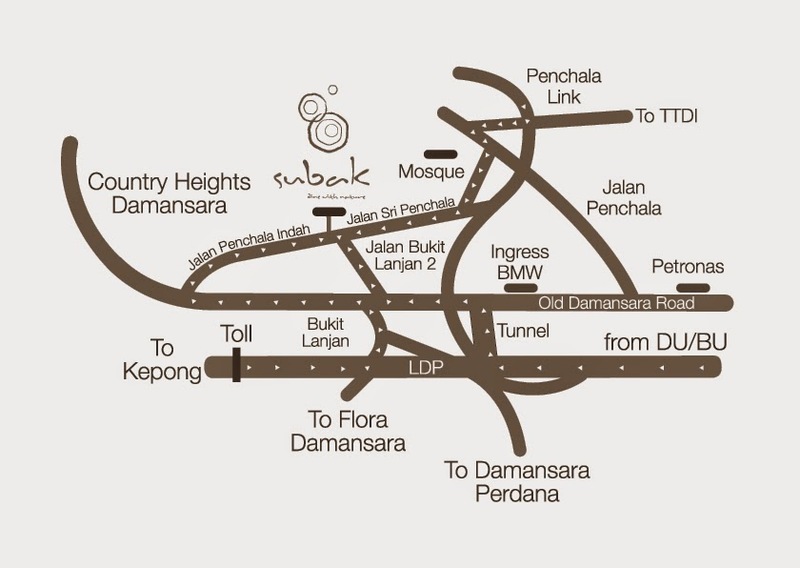 This is the map to Subak, Bukit Lanjan as it is not really easy to find. Kirin Glamping Night @ White Box, Publika. How to get rid of a past relationship? A habit. Toast & Roast, SS2 + OOTD.